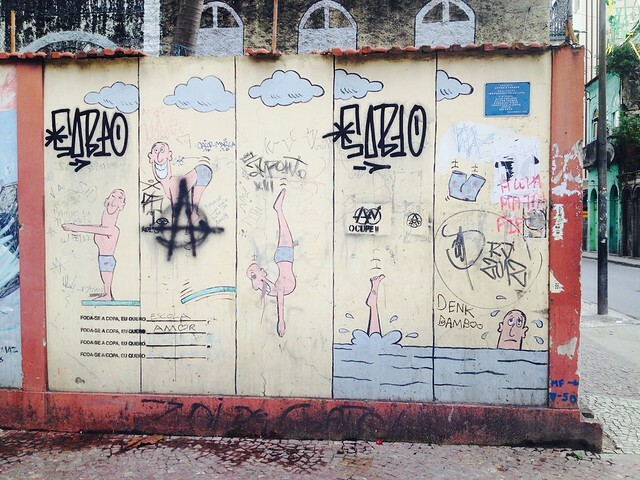 This post will document the random stuff in Rio that are not covered in the other posts. 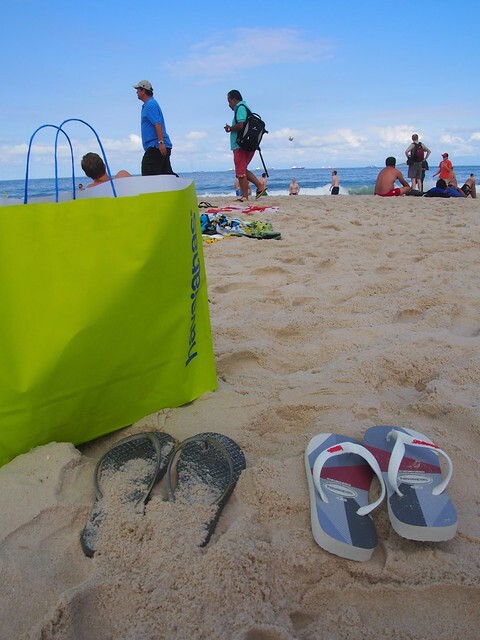 Brazil is the birthplace of Havaianas so naturally the cost is much cheaper than in Singapore. Furthermore, there are lots more designs and different types of customisation are available. However, different shops set different prices for the same pair of slippers. 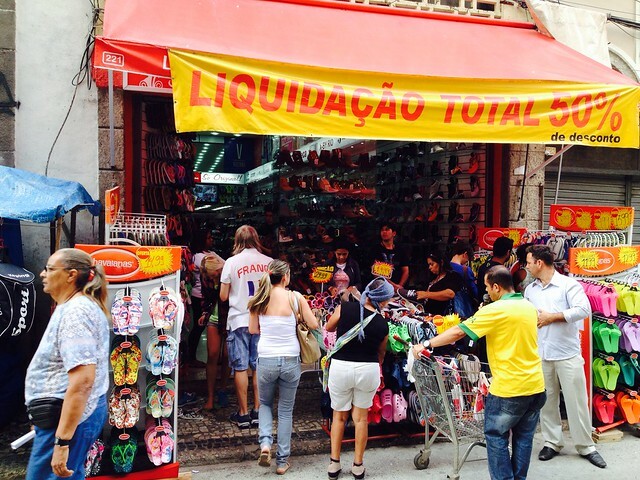 It pays to shop around and we discovered that the shops around Uruguaiana were cheaper than those at Copacabana. 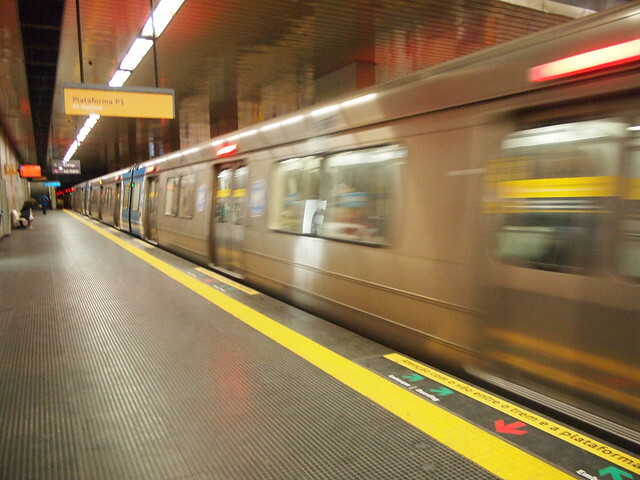 Metro was our primarily mode of transport around Rio and each trip cost 3.50 BRL regardless of distance traveled. 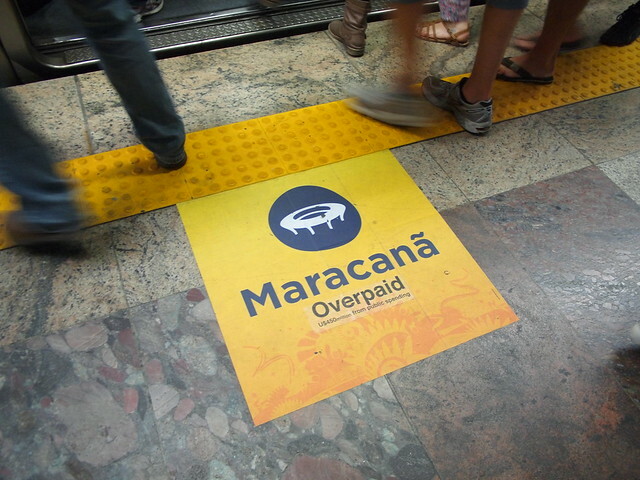 During the World Cup, there were many signs to guide the users to get to Maracanã stadium. 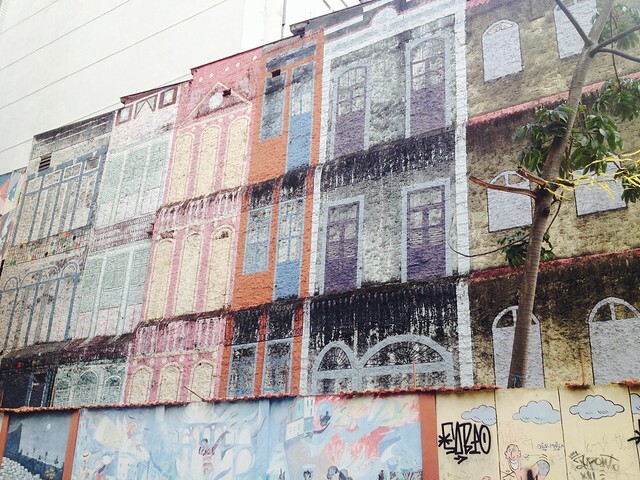 Our host offered to bring us to Lapa street party which took place on Friday and Saturday evenings. 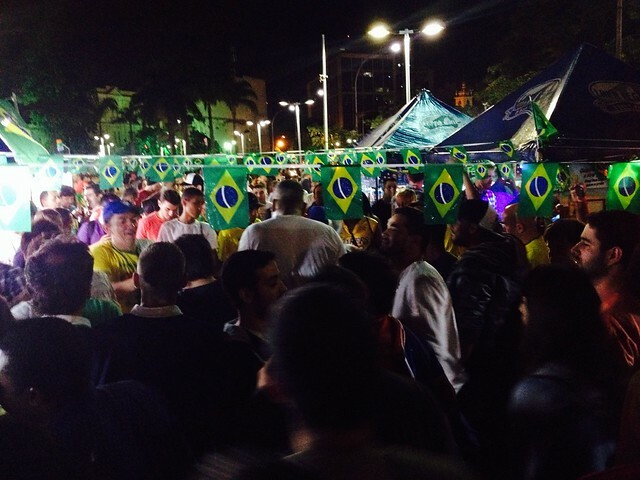 There were thousands of people out having fun and it was an eye-opening experience for us. 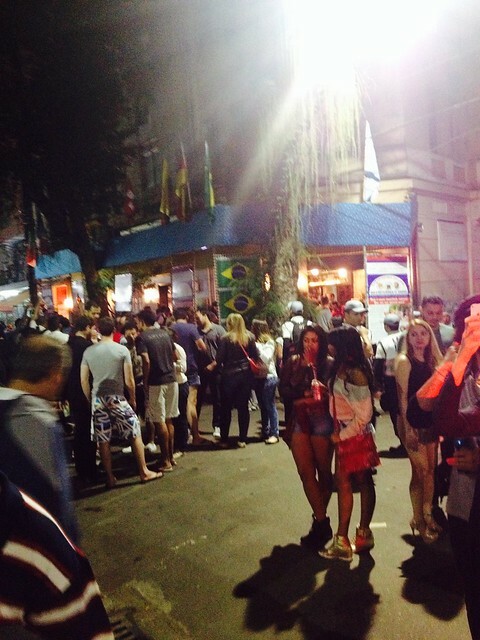 Raizza lamented that the vendors were charging “World Cup price” for the drinks due to the gringoes and it was usually much cheaper to have a fun night out. 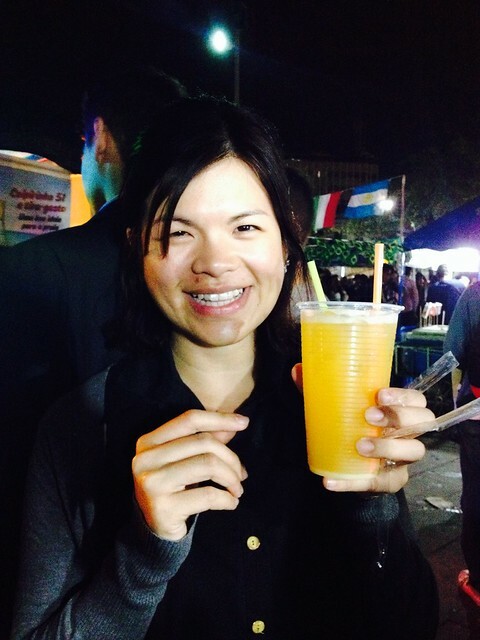 Nevertheless, we still decided to try caipirinha, Brazilian national drink. 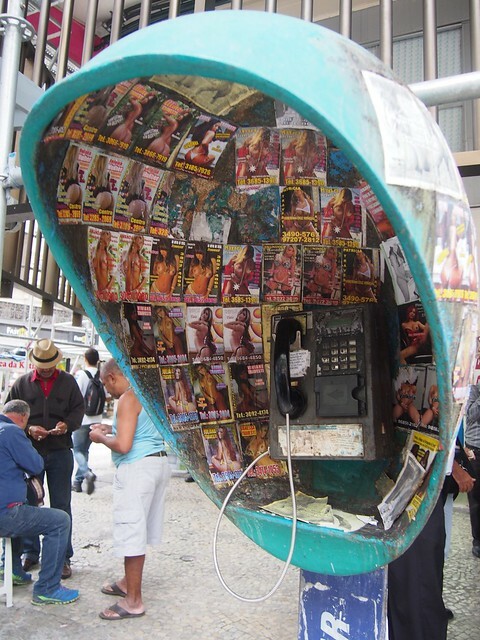 The usual precaution applies here. 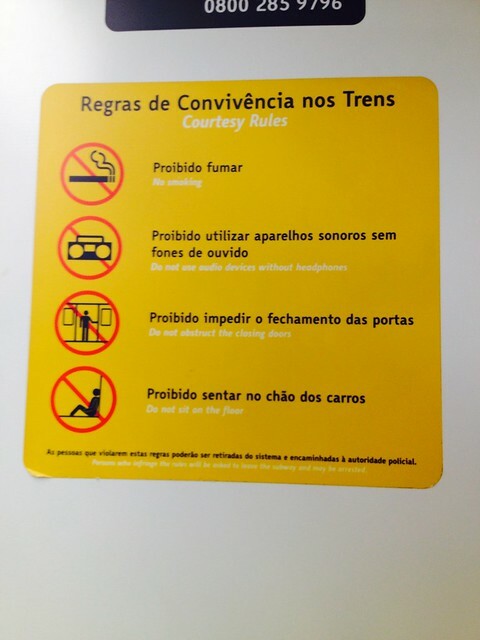 Beware of pickpockets and don’t wander off to deserted places. 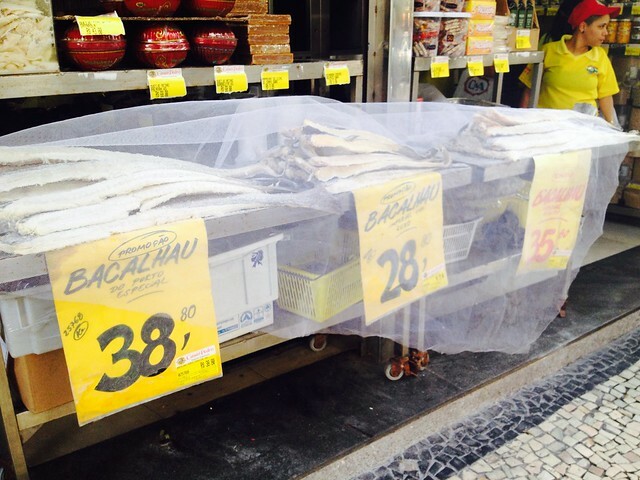 Ying had a colleague who used to live in Brazil and she asked her if it was possible to bring back some bacalhau. 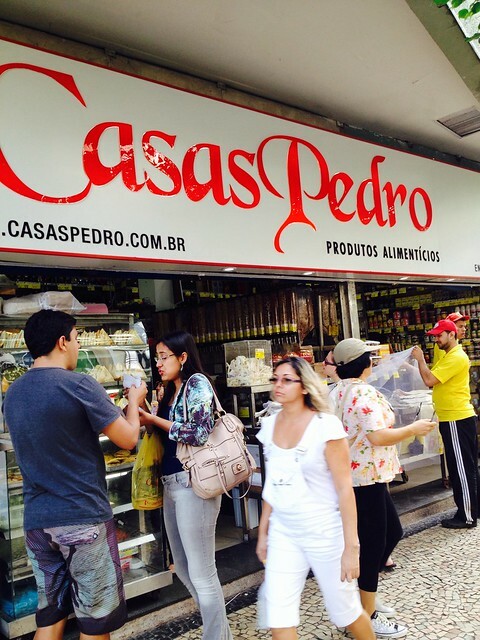 We searched online to find where to get it and it brought us to Casas Pedro. There were quite a few types on offer and we bought two different types for Ying’s colleague. We managed to communicate with the staff to pack them in such a way that we had no issue while flying with them. 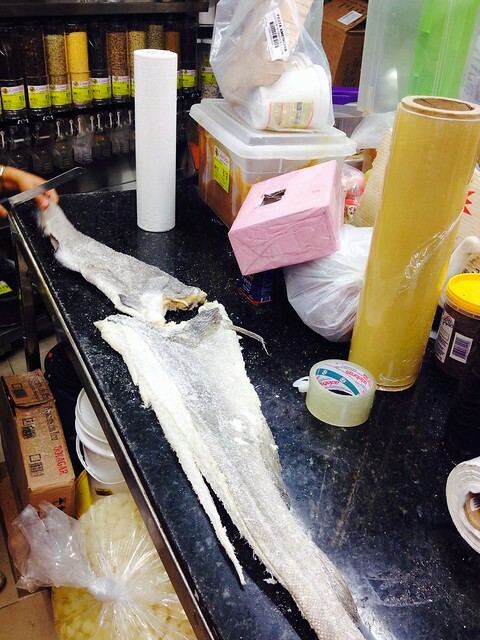 The experience felt like going the dried goods stalls in Singapore. 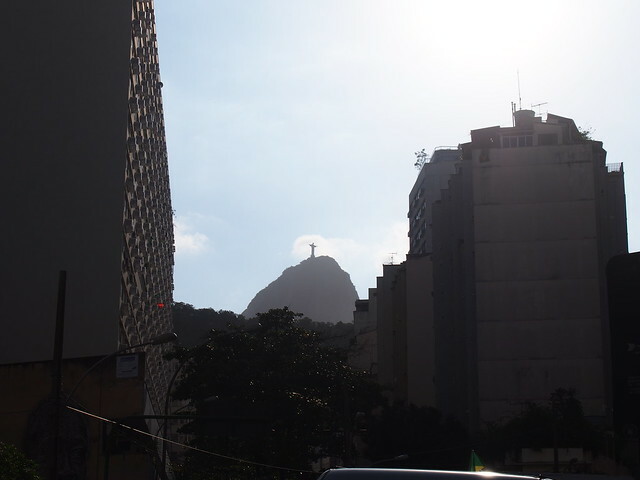 Somehow I felt more apprehensive taking pictures in Brazil when compared to Argentina. 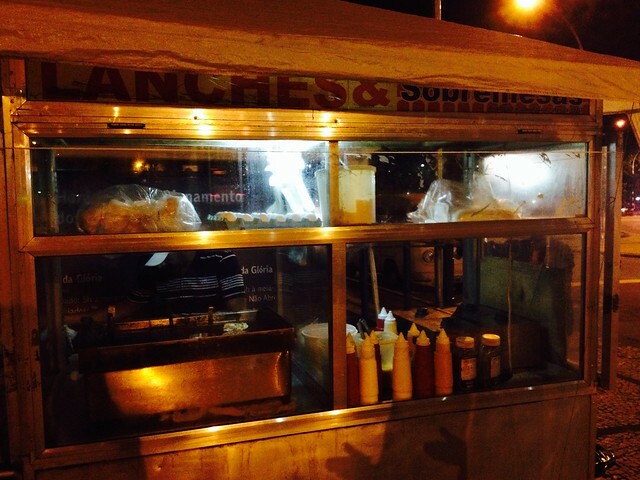 Perhaps our Malaysian friends’ experience of being nearly mugged had an impact on us. 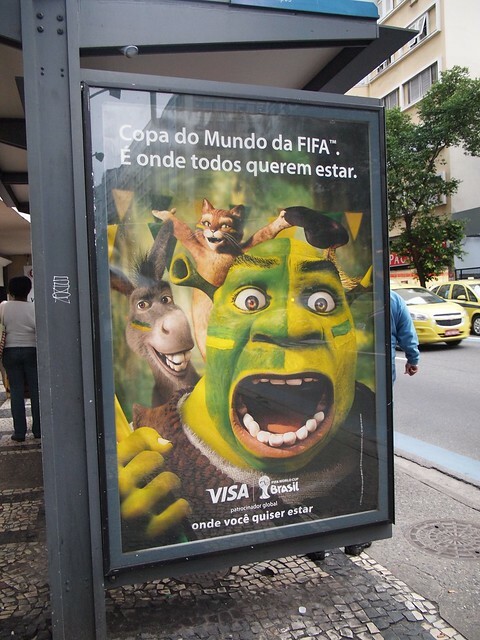 This entry was posted in Brazil and tagged Brazil, Random, Rio de Janeiro. Bookmark the permalink.